NACTOY 2015 North American Car of the Year. This Volkswagen Golf GTI delivers a Intercooled Turbo Premium Unleaded I-4 2.0 L/121 engine powering this Manual transmission. Valet Function, Trip Computer, Transmission: 6-Speed Manual -inc: Electronic Stability Control (ESC) and sport mode. This Volkswagen Golf GTI Comes Equipped with These Options Tailgate/Rear Door Lock Included w/Power Door Locks, Systems Monitor, Strut Front Suspension w/Coil Springs, Streaming Audio, Steel Spare Wheel, Sport Tuned Suspension, Sport Leather Steering Wheel, Single Stainless Steel Exhaust, Side Impact Beams, Side Curtain Protection Curtain 1st And 2nd Row Airbags. The Experts' Verdict... As reported by The Manufacturer Summary: Redesigned for 2015 welcome in the Golf GTI. Making a vehicle stronger generally means adding more weight but with the new GTI Volkswagen was able to incorporate ultra-high-strength steel which is stronger and lighter than conventional steel. The autobahn-tuned suspension separates the GTI from the rest of the pack with tighter body control; the GTI can stay more level in corners with improved grip, while still managing to provide a smooth ride. The heart of any sports car is its engine, which is why Volkswagen decided to give this one an adrenaline boost. With the most horsepower and torque of any GTI ever built for the U.S., and new performance-enhancing technologies, this hot hatch produces up to 210hp and 258 lbs/ft of torque. With the Performance Package you can get an additional 10hp along with a torque-sensing limited-slip differential and high-performance front and rear brakes with GTI embossed lettering. Inside the GTI us with loaded standard features including a touchscreen sound system, top sport heated front seats, and much more. Upgradable technology features include Volkswagen Car-Net to help you stay connected with your car even when you're apart from it. If you want concert-quality sound, just turn up the dial on the available Fender Premium Audio System. Also with the available Driver Assistance Package there is a Park Distance Control system with front and rear proximity sensors and Forward Collision Warning system. With the available Lighting Package you can get Bi-Xenon high-intensity headlights with LED Daytime Running Lights and Adaptive Front-lighting System. Stop By Today For a must-own Volkswagen Golf GTI come see us at Sherwood Park Volkswagen, 2365 BROADMOOR BLVD, SHERWOOD PARK, AB T8H 1N1. Just minutes away! This Volkswagen Tiguan boasts a Intercooled Turbo Premium Unleaded I-4 2.0 L/121 engine powering this Automatic transmission. Window Grid And Roof Mount Diversity Antenna, Wheels: 7J x 17 Fortaleza Alloy, Valet Function. This Volkswagen Tiguan Comes Equipped with These Options Trip Computer, Transmission: 6-Speed Automatic w/Tiptronic -inc: sport mode, Tires: 235/55R17 H AS, Tailgate/Rear Door Lock Included w/Power Door Locks, Systems Monitor, Strut Front Suspension w/Coil Springs, Streaming Audio, Steel Spare Wheel, Single Stainless Steel Exhaust, Side Impact Beams. Expert Reviews! As reported by The Manufacturer Summary: The Tiguan is everything you want in a compact SUV and more. It has smooth curves, a front end with sleek grille, and angled headlights. Just looking at this vehicle you know it can handle just about any terrain you put in its path. Available on R-Line models, you will marvel at the enormous available panoramic sunroof that stretches all the way to the rear passengers. Also, available on the R-Line, you can get the amazing Adaptive Front-lighting System, which can angle headlights up to 15 degrees around corners for better sight. Under the hood is an impressive 200hp, 2.0L, TSI engine, which can be paired with an available 6-speed automatic transmission with Tiptronic as well as the 4MOTION all-wheel drive system. Depending on your mood, it gives you the choice of fully automatic or manual-shifting mode. The roomy interior is refined and comfortable with features like leather seating, heated front seats, and dual-zone climate control, which are available on select models. There is a 40/20/40-split folding rear seat that allows you multiple seating and storage options, and when all are folded, the Tiguan has 56.1 cu. ft. of cargo capacity. A variety of available sound systems exist on select trims, including a Premium option from Fender that has 400 watts and 9-speakers. It also comes with an array of safety features including electronic stability control, anti-lock brakes, and an intelligent crash response system. The Volkswagen Car-Net communication system is available on most trims. It gives you services like roadside assistance, crash notification, and if your vehicle has navigation it offers improved point-of-interest service. Plus, all these features can be administered by an app on your smartphone. 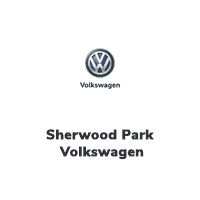 Stop By Today A short visit to Sherwood Park Volkswagen located at 2365 BROADMOOR BLVD, SHERWOOD PARK, AB T8H 1N1 can get you a reliable Tiguan today! VW Certified Buy with Confidence, Financing as low as 0% OACCome see this reliable 2015 Volkswagen Passat Comfortline. Window Grid Diversity Antenna, Wheels: Sonoma 7J x 17 Alloy, Wheels w/Silver Accents, Valet Function, Trunk Rear Cargo Access.This Volkswagen Passat Features the Following Options Trip Computer, Tires: P215/55R17 H AS, Tailgate/Rear Door Lock Included w/Power Door Locks, Strut Front Suspension w/Coil Springs, Streaming Audio, Steel Spare Wheel, Sliding Front Centre Armrest, Single Stainless Steel Exhaust w/Chrome Tailpipe Finisher, Side Impact Beams, Side Curtain Protection Curtain 1st And 2nd Row Airbags.See What the Experts Say! As reported by The Manufacturer Summary: The Volkswagen Passat has balanced proportions and an elegant, premium quality. Your eyes follow the strong character line and continue around the whole vehicle. With convenient features like automatic headlights combined with available corner-illuminating foglights. Other convenient features include optional keyless access with push button start and remote start to preheat or cool your Passat. Step inside and you will find available soft leather to soothe you, and on select models, the comfort of heated front seats. There is even an available sunroof to let the open sky in. With the available rear legroom your passengers will also enjoy the choice you've made with the Passat. You have several engine options with the Passat, including a 170-hp, a turbocharged 1.8L, a 2.0L TDI Clean Diesel, and a 280-hp V6. There is also a range of transmission possibilities, and available on select models, a 6-speed dual-clutch DSG automatic transmission with Tiptronic for imperceptibly fast gear changes and seamless acceleration. Depending on your engine and transmission combination, you can get EPA estimated gas mileage that ranges from 20-31 in the City and 28-44 on the Highway. The Passat lets you make calls hands-free, and stream music wirelessly from your compatible phone. For more technology, available on select models, get turn-by-turn directions from the navigation system, or rock out to the sound of your favorite music on the Fender Premium Audio System. In addition, you can have a backup camera on SE trims and higher. Safety features include the Intelligent Crash Response System, which in the event of an accident, automatically shuts your fuel pump off, turns your hazard lights on, and unlocks your doors.Visit Us Today Stop by Sherwood Park Volkswagen located at 2365 BROADMOOR BLVD, SHERWOOD PARK, AB T8H 1N1 for a quick visit and a great vehicle! IIHS Top Safety Pick. This Volkswagen Touareg delivers a Turbocharged Diesel V6 3.0L/181 engine powering this Automatic transmission. Tire pressure monitor system (TPMS), Storage unit located on top of centre console, Spare tire. This Volkswagen Touareg Features the Following Options SIRIUS satellite radio w/limited complimentary subscription, Silver roof rails, Seat belt height adjusters, pretensioners for front/rear outboard seats, Roof-mounted 'fin-type' satellite radio antenna, Roof-mounted diversity antenna, Rollover sensor system, RNS 850 navigation system -inc: touchscreen interface, 60GB hard drive w/music storage, Remote fuel door/hatch releases, Rearview camera, Rear window defroster. Expert Reviews! As reported by KBB.com: If on-road dynamics is more important than off-road capability, today's Volkswagen Touareg makes a great choice. A rigid structure and all-independent suspension provide the composure, while a trio of available drivetrains provides fun, function and efficiency. Stop By Today Come in for a quick visit at Sherwood Park Volkswagen, 2365 BROADMOOR BLVD, SHERWOOD PARK, AB T8H 1N1 to claim your Volkswagen Touareg! This Volkswagen Tiguan delivers a Intercooled Turbo Premium Unleaded I-4 2.0 L/121 engine powering this Automatic transmission. Window Grid And Roof Mount Diversity Antenna, Wheels: 7J x 17 Fortaleza Alloy, Valet Function. This Volkswagen Tiguan Comes Equipped with These Options Trip Computer, Transmission: 6-Speed Automatic w/Tiptronic -inc: sport mode, Tires: 235/55R17 H AS, Tailgate/Rear Door Lock Included w/Power Door Locks, Systems Monitor, Strut Front Suspension w/Coil Springs, Streaming Audio, Steel Spare Wheel, Single Stainless Steel Exhaust, Side Impact Beams. Expert Reviews! As reported by The Manufacturer Summary: The Tiguan is everything you want in a compact SUV and more. It has smooth curves, a front end with sleek grille, and angled headlights. Just looking at this vehicle you know it can handle just about any terrain you put in its path. Available on R-Line models, you will marvel at the enormous available panoramic sunroof that stretches all the way to the rear passengers. Also, available on the R-Line, you can get the amazing Adaptive Front-lighting System, which can angle headlights up to 15 degrees around corners for better sight. Under the hood is an impressive 200hp, 2.0L, TSI engine, which can be paired with an available 6-speed automatic transmission with Tiptronic as well as the 4MOTION all-wheel drive system. Depending on your mood, it gives you the choice of fully automatic or manual-shifting mode. The roomy interior is refined and comfortable with features like leather seating, heated front seats, and dual-zone climate control, which are available on select models. There is a 40/20/40-split folding rear seat that allows you multiple seating and storage options, and when all are folded, the Tiguan has 56.1 cu. ft. of cargo capacity. A variety of available sound systems exist on select trims, including a Premium option from Fender that has 400 watts and 9-speakers. It also comes with an array of safety features including electronic stability control, anti-lock brakes, and an intelligent crash response system. The Volkswagen Car-Net communication system is available on most trims. It gives you services like roadside assistance, crash notification, and if your vehicle has navigation it offers improved point-of-interest service. Plus, all these features can be administered by an app on your smartphone. Stop By Today Test drive this must-see, must-drive, must-own beauty today at Sherwood Park Volkswagen, 2365 BROADMOOR BLVD, SHERWOOD PARK, AB T8H 1N1. This Volkswagen Golf SportWagen boasts a Intercooled Turbo Regular Unleaded I-4 1.8 L/110 engine powering this Automatic transmission. Wheels w/Silver Accents, Valet Function, Trip Computer. This Volkswagen Golf SportWagen Features the Following Options Transmission: 6-Speed DSG Automatic, Tailgate/Rear Door Lock Included w/Power Door Locks, Systems Monitor, Strut Front Suspension w/Coil Springs, Steel Spare Wheel, Speed Sensitive Rain Detecting Variable Intermittent Wipers w/Heated Jets, Single Stainless Steel Exhaust, Side Impact Beams, Side Curtain Protection Curtain 1st And 2nd Row Airbags, Roof Rack Rails Only. Visit Us Today Come in for a quick visit at Sherwood Park Volkswagen, 2365 BROADMOOR BLVD, SHERWOOD PARK, AB T8H 1N1 to claim your Volkswagen Golf SportWagen! This Volkswagen Golf GTI boasts a Intercooled Turbo Premium Unleaded I-4 2.0 L/121 engine powering this Manual transmission. Valet Function, Trip Computer, Transmission: 6-Speed Manual -inc: Electronic Stability Control (ESC) and sport mode. This Volkswagen Golf GTI Features the Following Options Tailgate/Rear Door Lock Included w/Power Door Locks, Systems Monitor, Strut Front Suspension w/Coil Springs, Steel Spare Wheel, Sport Tuned Suspension, Sport Leather Steering Wheel, Smart Device Integration, Single Stainless Steel Exhaust, Side Impact Beams, Side Curtain Protection Curtain 1st And 2nd Row Airbags. Stop By Today For a must-own Volkswagen Golf GTI come see us at Sherwood Park Volkswagen, 2365 BROADMOOR BLVD, SHERWOOD PARK, AB T8H 1N1. Just minutes away!